The Round of 8 has been set for this year’s NASCAR playoffs and Kyle Busch is in the lead. 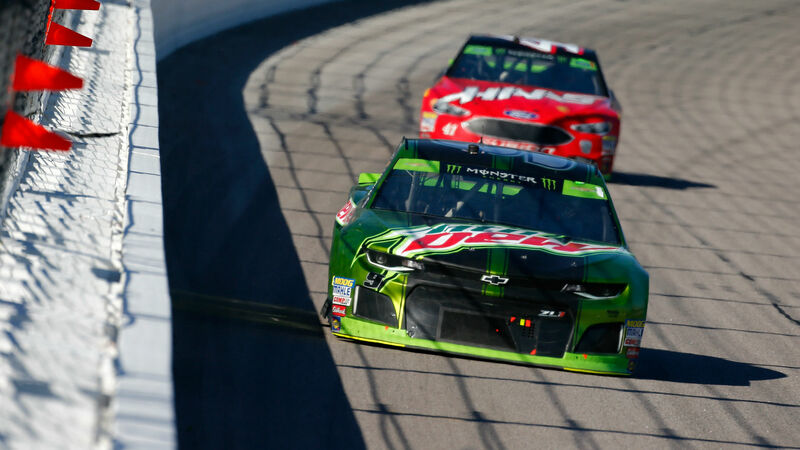 After a second-place finish at Kansas Speedway, Busch has a one-point lead over Kevin Harvick, who is in second, while Martin Truex Jr. is 16 points back in third. But the man with the hot hand right now is Chase Elliott. Currently in fourth place in the playoff standings, three points above the cutoff, Elliott has two wins in his last three races and three total on the season. Elliott finished ninth at Martinsville in March and has three top 12s in his last four races at the short track. But Busch loves this unique course and has taken home victories in two of his last five trips there while finishing in the top 5 each of the last six times. Elliott held off Busch on Sunday, but he might have trouble doing so this week. The First Data 500 can be seen Sunday at 2:30 p.m. ET on NBCSN, and streamed on fuboTV (7-day free trial). Which Monster Energy NASCAR Cup Series drivers are racing at Martinsville?